The multi-creator panels were most fascinating as creators bounced off one another. The individual panels were good but mostly rehashed things I've seen/heard before. Watching Ware and Clowes on stage with Crumb was brilliant; they were able to get him loosen up despite his obvious discomfort. Lot of kudos on Justin Green; will need to find some his work. Not nearly the packed house I was expecting. 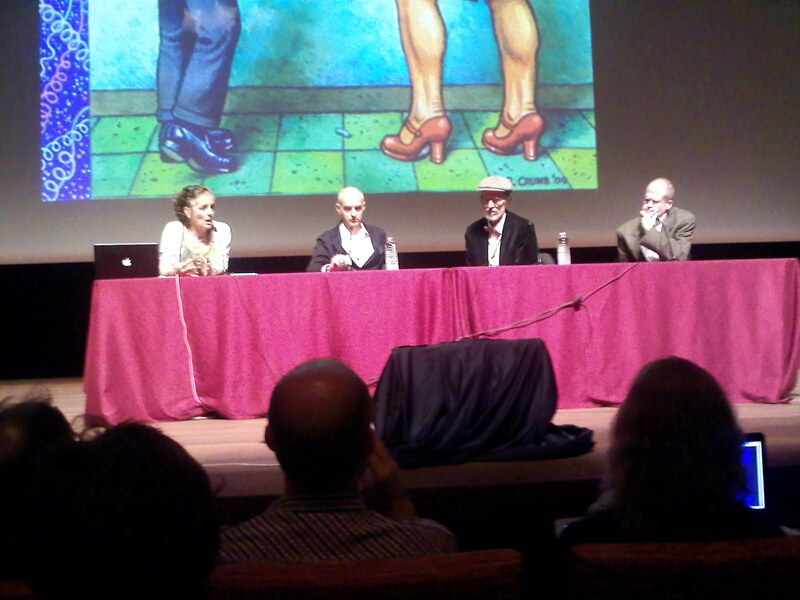 But I was able to sit in Row 3 among several creators; only a chair away from the whole Spiegelman/Mouly family.